Before his untimely demise at the hands of an American hunter, Cecil the lion was the head of two prides, which included six lionesses, 12 cubs and a second male named Jericho. Oh, just look at the pictures. Lion families often span across prides and great distances. One of Cecil's surviving sons, Xanda, is all grown up and has formed a pride of his own. Now, Xanda is raising Cecil's grandcubs. "Their mother is a member of the Ngamo Pride who must have mated with Xanda," Josephine Bestic of Wilderness Safaris told The Dodo. One of the guides "reckoned [Xanda's] proximity to and relaxed attitude toward the cubs indicated that he had to have fathered them," Bestic explains. Xanda's father, Cecil, was an iconic figure at Zimbabwe's Hwange National Park. But it was his death last July that catapulted him to worldwide fame. 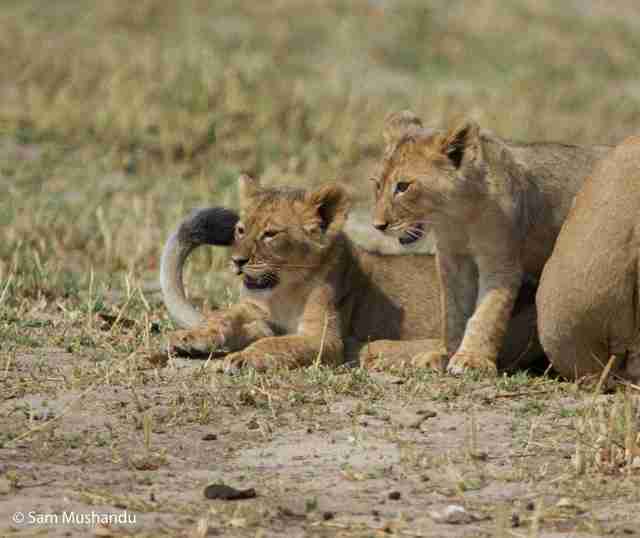 Sam Mushandu, a guide at Hwange's Linkwasha camp, estimates Cecil's grandcubs are nearly 4 months old now. "[Mushandu] watched them for about an hour as the lioness was feeding on a young wildebeest while the kids were chasing jackals away," Bestic notes. "The mother eventually left the carcass and there was an interesting interaction between [the cubs and] black-backed jackals and vultures." Cecil was killed by a crossbow-wielding American dentist on holiday - reportedly with $50,000 to spare. And not a penny's worth of compassion. However, the 13-year-old lion's ignominious end resonated worldwide as a glaring indictment of the trophy hunting industry. Walter Palmer had tracked the dying animal for days. 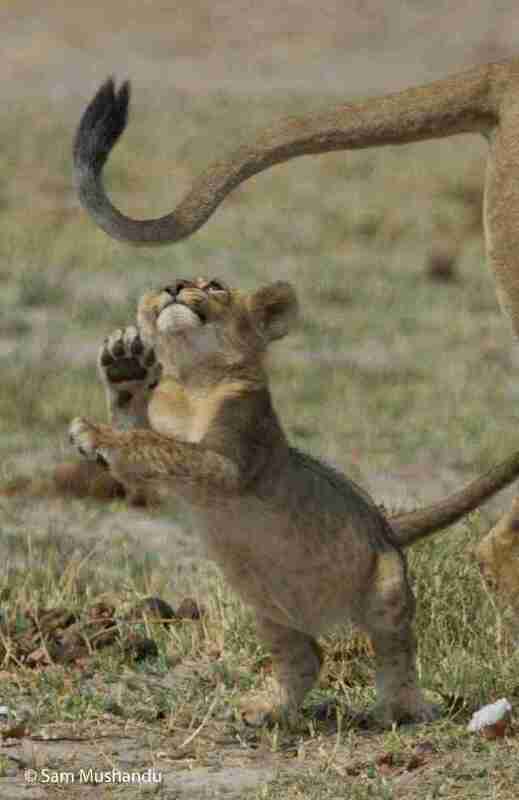 Ultimately, Cecil's life ended not with a roar, but a selfie. As for the cubs? As Abraham Lincoln once sagely noted: "You have to do your own growing no matter how tall your grandfather was."